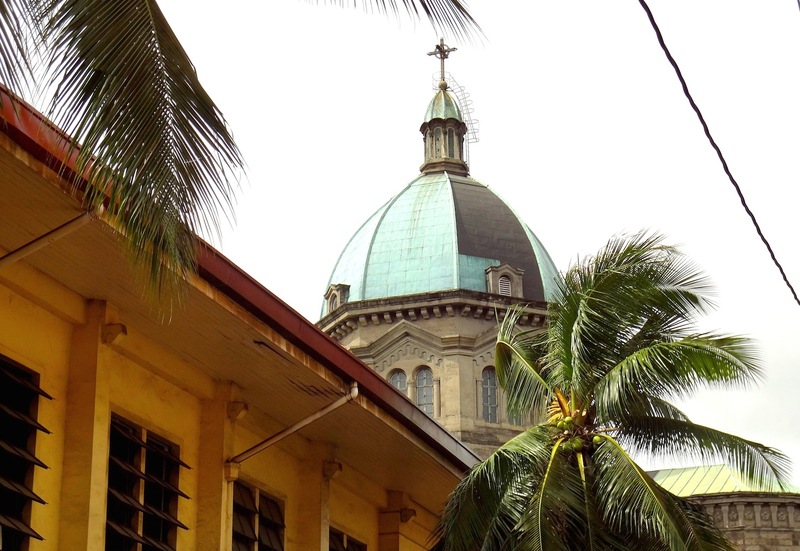 Manila Cathedral and the Headquarters of the Knights of Columbus. Unfortunately, much of Old Manila – called Intramuros (or “inside the walls”) today – was ruined in the aftermath of World War II. Specifically, the old city was a casualty of the Battle of Manila – a key battle on the Pacific front between the United States of America and Imperial Japan. Today, much of Intramuros still lies in ruins, and around these ruins sit luxury residences alongside shanty-towns. But look hard (and look up) and you will find windows into the past – when you can just about imagine how it was like 400 years ago when the Spanish brought EMPIRE, RELIGION and TRADE to these shores. 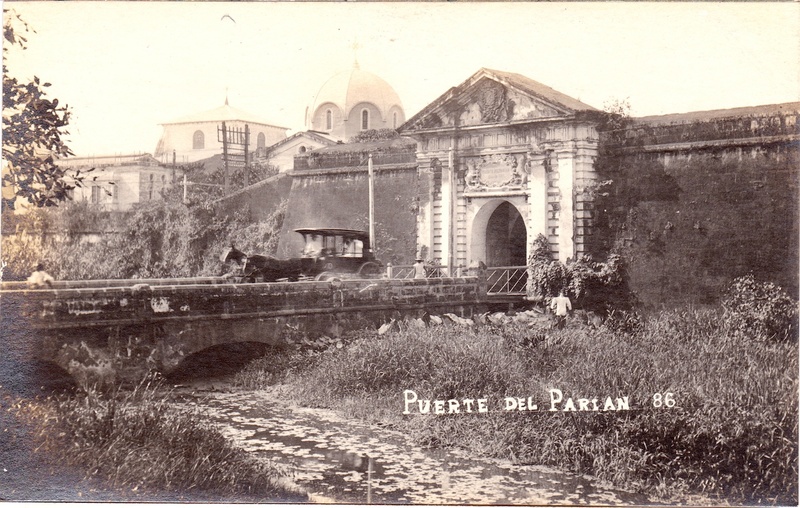 Vintage view of a calesa (horse carriage) exiting the Puerte del Parian (Parian Gate), Walled City of Manila. 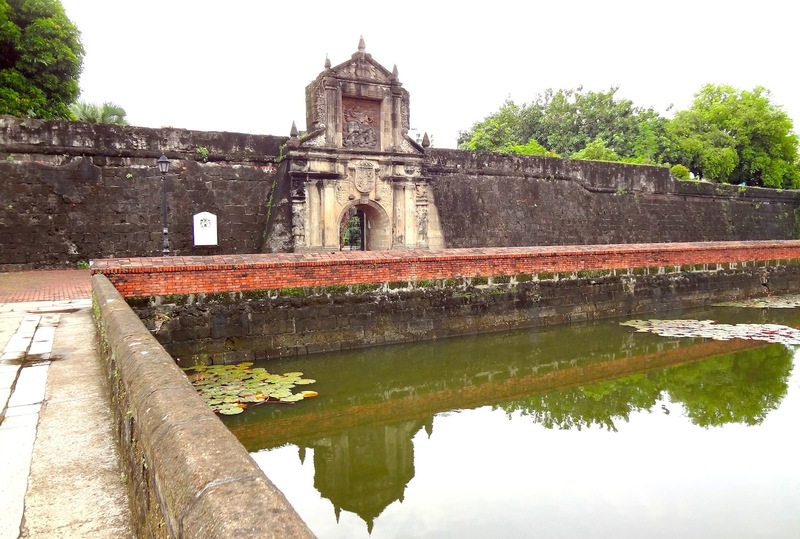 Fort Santiago is the entrance to the Walled City of Manila. 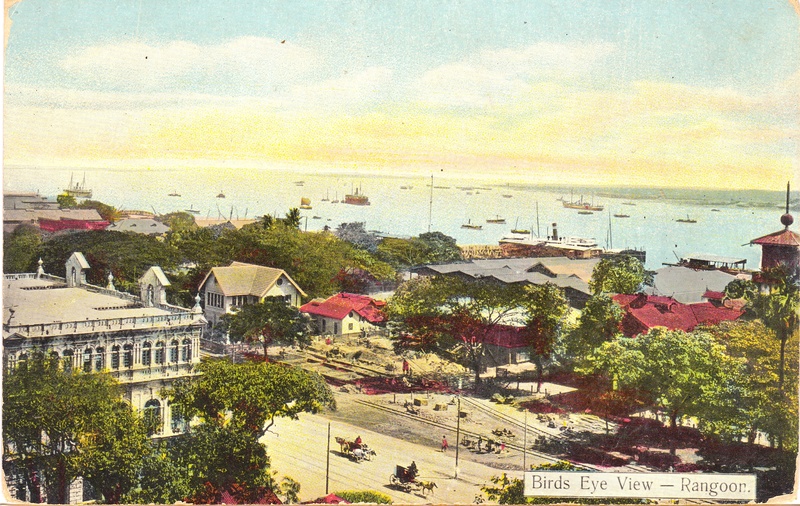 In the course of writing the Rangoon chapter, I managed, very fortunately, to acquire quite a few early 1900s vintage postcards that presented views of the city of Rangoon in British Burma – today’s Yangon, in Myanmar. The first postcard above is a spectacular bird eye’s view in colour, of Strand Road and the Rangoon River. As you can see, Rangoon was a bustling port – in fact, it was perhaps the most important port in Southeast Asia proper, after Singapore. 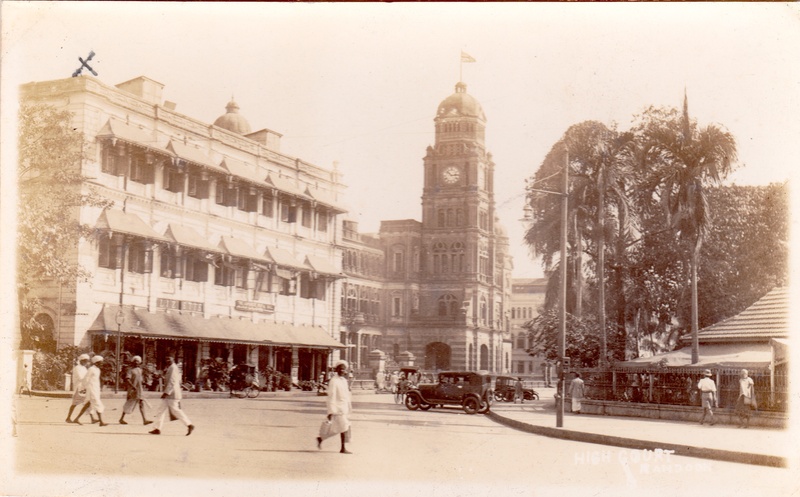 The second view, below, is that of the historic High Court Building (at centre), which still stands today. The building was built in 1914 in a distinctly Edwardian style, and wouldn’t feel out of place in London itself. The wonderful thing about today’s Yangon downtown, is that it looks almost exactly the same as the Rangoon presented in these vintage postcards. All the amazing monumental architectural heritage still stands, and there is a race against time to preserve and restore many of these. 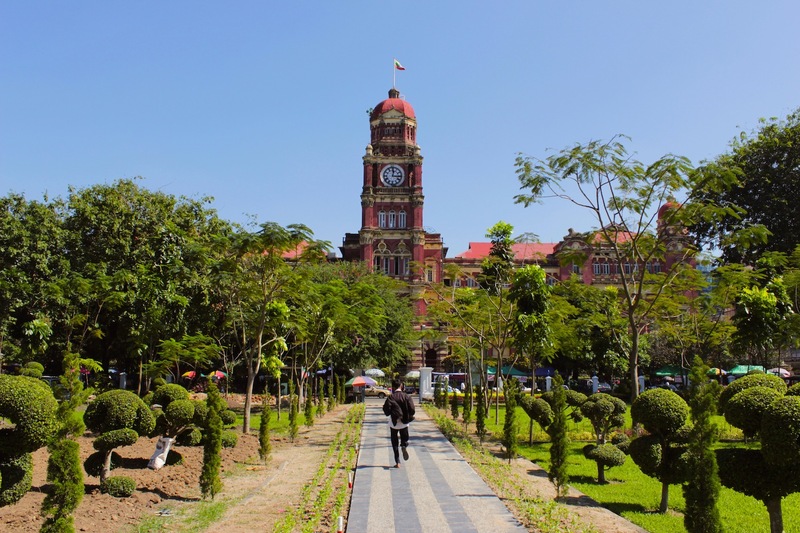 The first chapter of The Romance of the Grand Tour – 100 Years of Travel in Southeast Asia takes the reader on a stroll through the old town of Rangoon/Yangon in the 1900s and today, presenting views and vistas from the turn of the 19th century and the turn of the 20th century. 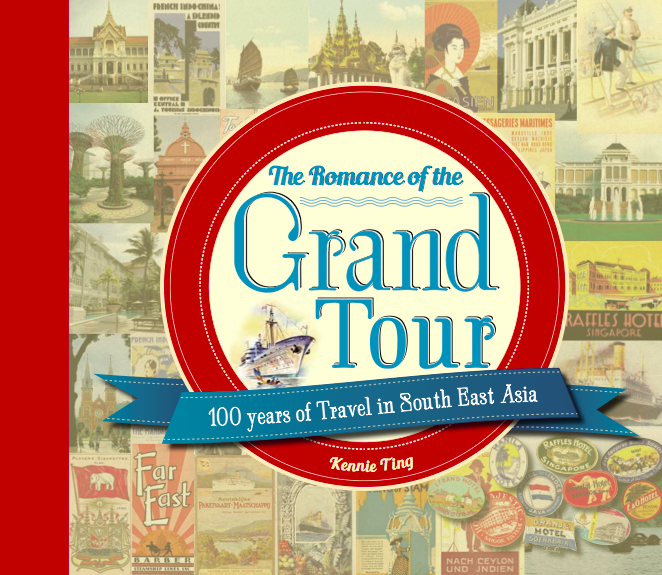 The Romance of the Grand Tour – 100 Years of Travel in Southeast Asia will be available from mid-April in all major bookstores, museum shops and featured hotels in Singapore, the Southeast Asian region and Hong Kong. Rangoon City View with the High Court at centre. Collection of the Author. The High Court Building today. After two and a half years of working on this, my new book, The Romance of Grand Tour – 100 Years of Travel in Southeast Asia is finally to be launched on 15th April, 2015 in my home city of Singapore. It is a new coffee table book celebrating the Grand Tour of Southeast Asia in the 1920s. Retracing the journey of those grand tourists of the ‘20s, the book takes today’s traveller through 12 fabled port cities in what was then known as the East Indies. Welcome on board ship… and to a year of history, nostalgic and excitement!